The increasingly bitter trading of allegations between Qatar and three of its erstwhile allies in the Gulf – combined with economic and diplomatic embargoes – does not look likely to end quickly, despite some frenetic shuttle diplomacy by Kuwait’s ruler Sheikh Sabah Al Ahmad Al Sabah. But in any difficulty there can be winners and losers and in this case one of the beneficiaries appears to be one of the Gulf’s less celebrated airlines: Oman Air. The region’s aviation business is dominated by the three big ‘super-connectors’: Qatar Airways, Abu Dhabi-based Etihad and Dubai’s Emirates. Together they have put the region on the map for global travelers, with their hub airports offering smooth connections between most corners of the world. At the moment though, the diplomatic crisis in the region means that some of the spokes on the wheels of their flight networks have come loose. Qatar Airways planes are barred from flying to, or even through the airspace of, Saudi Arabia, the UAE, Bahrain and Egypt. At the same time all the airlines from those countries – including Emirates, Etihad, Saudia and Gulf Air – have stopped flying to Doha’s huge Hamad International airport, which opened in 2014 to much acclaim – it is one of only eight airports in the world to be given a five-star rating by Skytrax. Qatari passport holders not even allowed to transit through Dubai or Abu Dhabi airports. Qantas is among the airlines from beyond the region that have said it is not allowing Qatari passport holders to board its flights to Dubai. Oman Air is a second-tier carrier in the region, but it now has a clear advantage over many of its rivals in that it can still fly freely wherever it wants. Since the travel embargo was imposed on June 5, there has been a big gap in the market which it seems happy to try and fill. When the crisis broke Qatar Airways chartered three planes from Oman Air to ferry stranded passengers from Saudi Arabia to Doha, via Muscat, as well as one other from Kuwait Airlines which went via Kuwait. But those passengers are not the only ones needing to find new travel routes. More than 100,000 Egyptian workers live in Qatar and have no direct way of getting to and from their home country. The same is true of Saudi, Emirati and Bahraini nationals in Doha. For most of these people – and indeed anyone else wanting to get to or from Qatar from these countries – they now have to opt for a two-stop journey via a ‘neutral’ third country. The most obvious places to travel via are Muscat and Kuwait City and in terms of service and reputation Oman Air has a clear advantage over Kuwait Airways. To take advantage of that, the Muscat-based carrier says it is expanding its services. “Oman Air is upgrading its flights to Doha to bigger aircraft with more capacity from June 8 till June 14,” says a spokesperson. 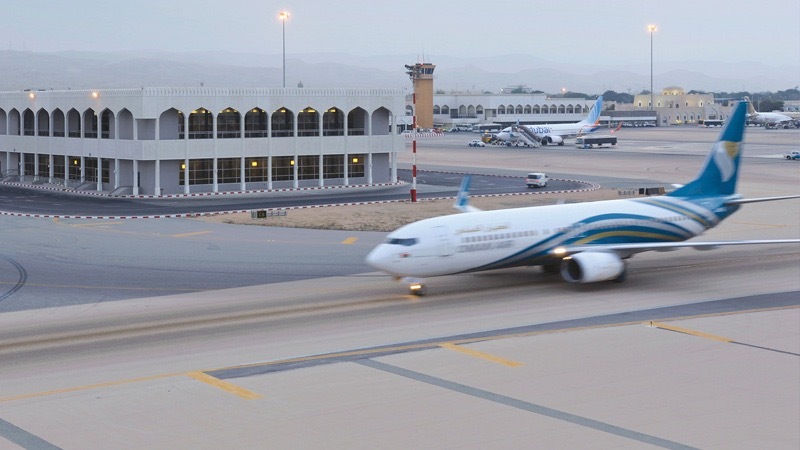 Muscat International airport may be a poor substitute for some of the region’s biggest hub airports – with 28 airlines flying to 55 destinations it has far fewer options than the airports of Dubai or Abu Dhabi. But that will be of little concern to travelers who just want to get to or from work meetings, holidays or family reunions in Doha. Meanwhile Qatar Airways continues to fly to the rest of its destinations, although its flights are being forced to take a longer route around those countries it is locked in dispute with. Essentially that means sending most of its planes through Iranian airspace. 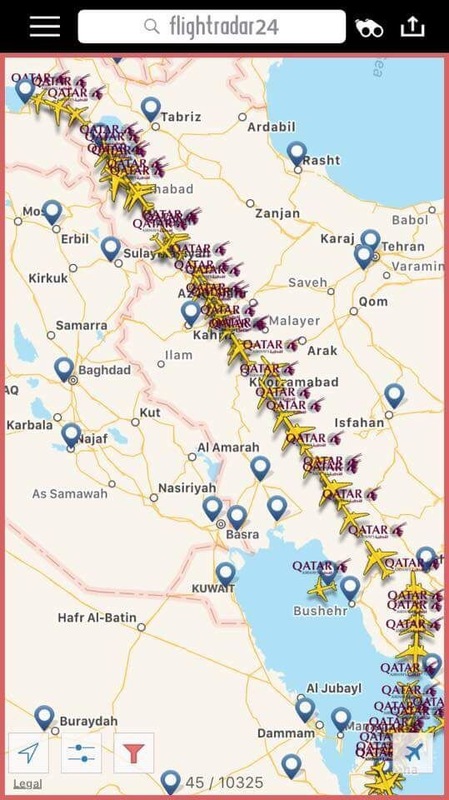 The Iranian Airports and Air Navigation Company says an extra 150 Qatari flights are now passing over the country.